This week’s Freak-Out Friday has been brought to you by Dutch animator Roger van der Weide, also known as “Rogerregorroger.” Some of you might recognize his earlier work with the IMP series or his Sonic Games in X Minutes parodies. You might also remember him for his collaborations with “AdoubleA” under the handle “Evildoc,” with hilarious animations like The Doomed Shadow Show, Night of the Warhog, Red Hedgehog, and Sonic Dark Chronicles. Recently, Roger finally put the spotlight on the only character in the Sonic series who really matters, with a video that was personally rated 11/10 by the Hedgehog himself! 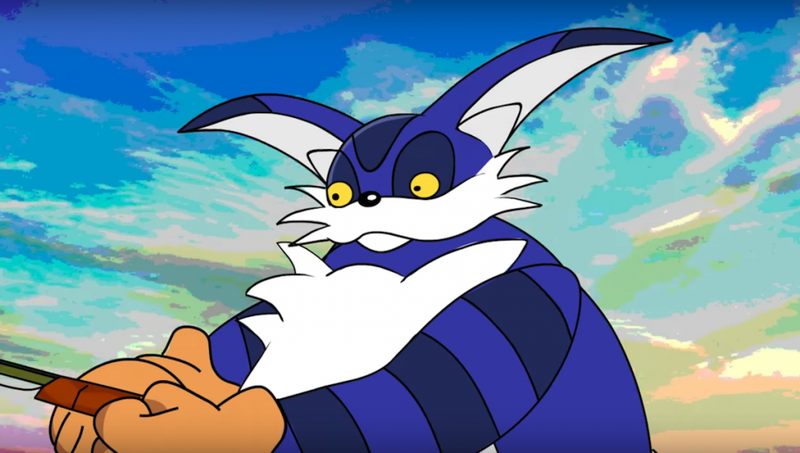 And remember to start a Change.org petition for the higher-ups at SEGA to make Big the Cat Adventure 3 a reality! …or don’t do that. Either way, leave your thoughts about Roger’s creation in the comments below! Stop. This. Old. Lame. Meme. I would totally prefer this over Boom RoL! Why, because the fanbase doesn’t deserve nice things? What does Batman have to do with Sonic? Well Roger Craig Smith did voice Batman in Arkham Origins. It’s where the quote comes from. That quote? That one right there. I’m quoting that. It’s me having fun with this concept. That’s what this whole Big’s Fishing whatever thing is about. The Joke. She flew past ye. It’s the game that we deserve, just not the one we need right now. Dam Big is better than Sonic when I see Big is fastest & strongest to in a tralier Big The Cat says: Sonic your games are very very very bad & Sonic Boom to which in a mean time this game is going to be mine is Big The Cat Adventure 3 best Big game of all better than Sonic games in my opinion so mumhahaha!!! There is no God. There is only BIG. Heh, thanks for the shoutout.